When in Manila, the Philippine Dragon Boat Team ‘Dragon Warriors’ has once again triumphed on the International Dragon Boat Federation (IDBF) World Championships on Tampa Bay, Florida by winning a total of 7 medals (5 golds and 2 silvers) to date. They have also set new world records for each of the events they won. The ‘Dragon Warriors’ emerged victoriously as it has beaten Australia, Italy, Japan, and Puerto Rico on the Finals. Furthermore, they have set new world records in the 1000-m men’s event, the 200-m men’s event, the 500-m men’s event, the 200-m mixed event, and the 500-m mixed event. Philippines placed first in the event, while Australia came in second, and Japan third. The Filipino community went all-out in supporting the team. All week long, they cheered for the athletes and they even brought food and drinks for them. 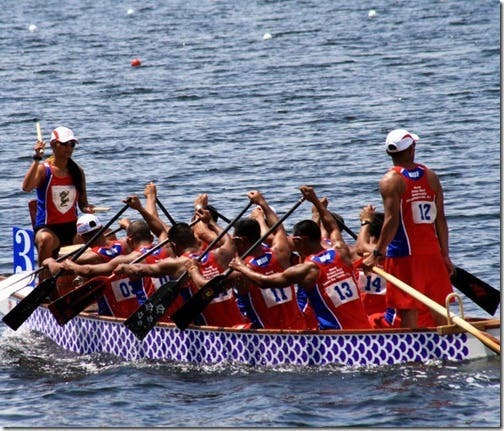 I admire the fighting spirit of the Philippine Dragon Boat Team! They never gave up despite lacking financial support for the government. They should be commended in some way. I mean, obviously we can’t afford to go extravagant on them but at least we can let them feel that we care.